Welcome to Term 4 Week 6. Exams are currently taking place for many students in the College. Months of purposeful steady revision, reflection on the learning that has taken place in class and further deep learning at home are paying fruitful dividends as skills and knowledge will be shown through these results. The final results will be a reflection of the work that students have put in over the last year at both home and the College. The College over the last fortnight has achieved many different sporting successes in various competitions across the state. 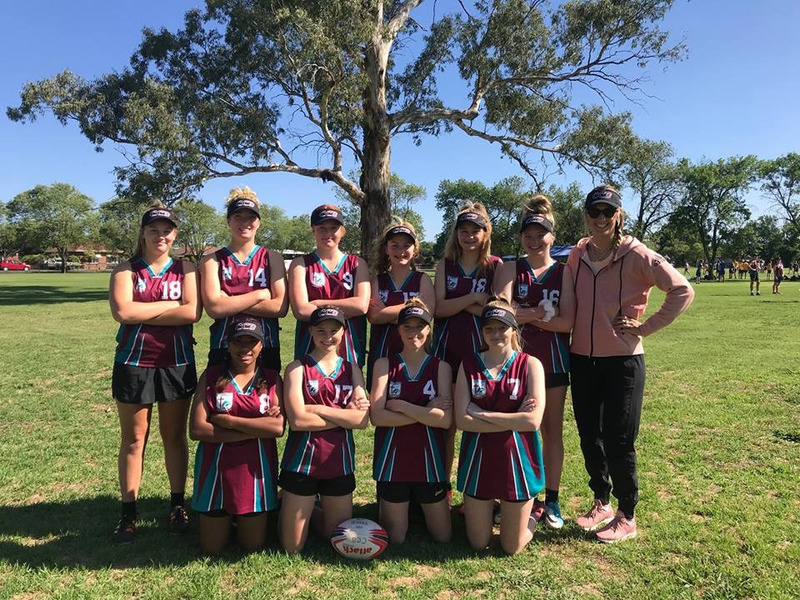 Teams travelled last week to Cootamundra for the Secondary Touch Football competition with the Year 9/10 Girls Team emerging champions! Well done to all students and staff who travelled the long distance and represented the College with pride. 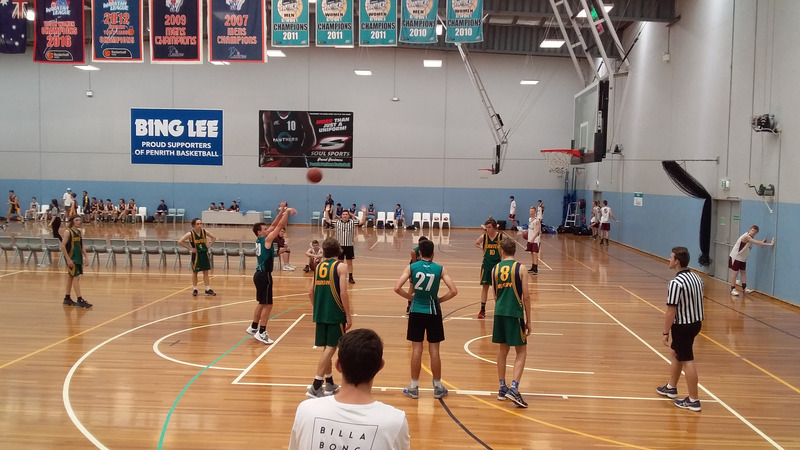 Our Intermediate Boys Basketball team travelled to the NSWCCC Basketball Championships where they fared very well against a very strong opposition. Thank you to the students, staff and volunteers who made the most of the trip away. The Community Council is meeting again on the 5th December at the College at 5 pm. On behalf of the council, I would like to extend an invitation to any parents who would like to come along and have strategic input into projects and the direction of the College. The Community Council is the group that is the voice of the community and works with the Principal to have a positive influence over the vision and direction of the College. I encourage as many parents as possible to continue to be involved in the Council. Their work is highly valued and having a strategic impact upon the College which benefits the whole community. Just a reminder to parents that D Block and the new kitchen have been completed as part of the ongoing improvements to the infrastructure of the College. I am happy to show parents around the new building and facilities at the College. Please contact me below to arrange a suitable time for a tour. I am pleased to announce that the College has a new Counsellor starting on the 5th of December. Naomi Bee will work Wednesday to Friday each week. We welcome Naomi on behalf of the College Community and am sure that everyone will make her feel very welcome. As the end of term approaches, fatigue begins to show in student engagement at the College. If there are concerns at home regarding engagement please contact the College so that we are made aware of this and are aware of any extra support that is required. This time of the year always requires us to look to the example of Christ, supporting and being patient with each other and knowing when it is appropriate to seek assistance. 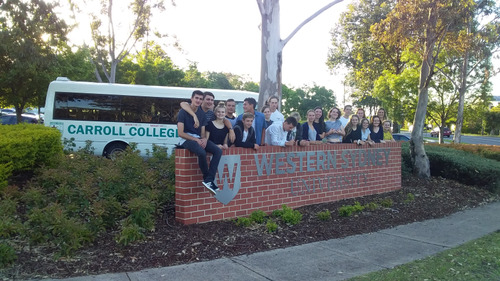 Term four has been an incredibly busy term, with many events that have given our students opportunities for growth. Our classrooms provide the greatest opportunities on a daily basis for our students who are challenged towards their personal best. There have been many wonderful displays of exemplary work. A standout is a Religious Education Assignment completed by Year Seven student, Lucas McMath. 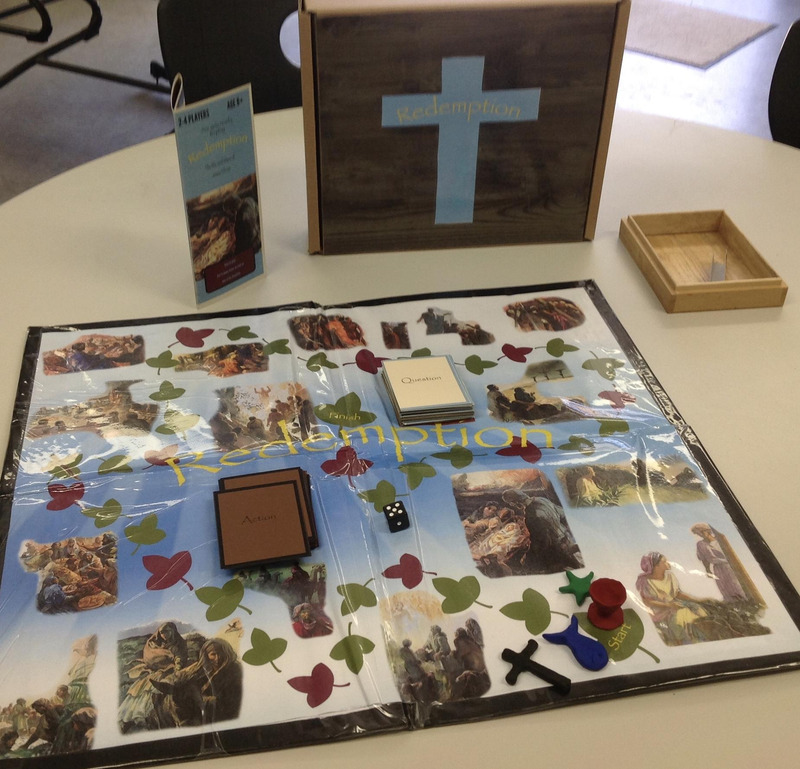 His brief was to create a board game on the life of Jesus. Lucas went above and beyond to submit a professional and thoughtful display. Well done Lucas and congratulations to his teacher, Mrs Nicole Montgomery for her guidance and support. The beginning of term four saw students make the switch into their summer uniforms. The majority of students are commended on the pride they take in their appearance and the way in which they are wearing their uniform. We have reminded our students that they are are to wear the College cap while participating in any outdoor sporting activity and during breaks in Terms 1 and 4, if choosing to be in the sun. College caps are available for purchase from the Canteen. Students are also reminded that if they are out of uniform for any reason, they will be required to serve a Pastoral Detention. Thank you for your continued support for our uniform policy, a copy of which can be found on the College website or by following the link below. 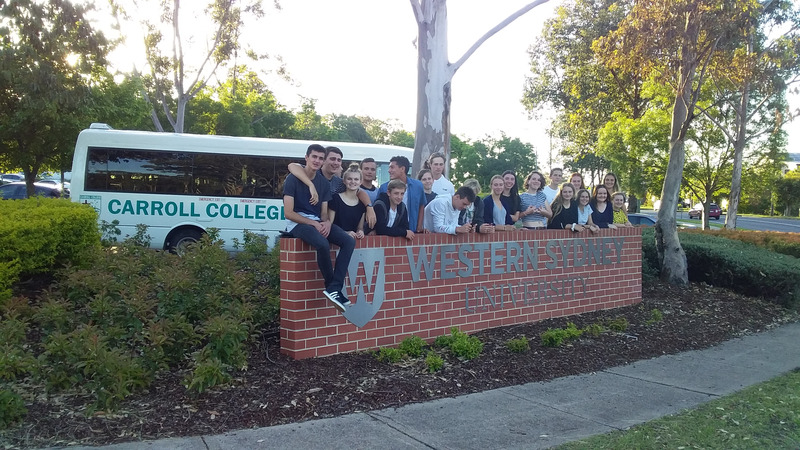 During Week Four our Year 11 students attended the Senior Retreat, which was held at Waterslea YouthWorks Conference Centre in Nowra. The theme for the retreat was Hope for the Future, which was then broken into three areas: Hope in Others, Hope in Self and Hope in God. The retreat experience allowed our students time away from the College, from schoolwork and their daily routine to reconnect and recharge. To build upon existing friendships and create new friendship bonds as they enter into their final years of schooling. On their final night Father Dominic offered Mass and joined us for a semi-formal dinner. It was a wonderful experience and I particularly thank the Year 11 cohort for their energy and enthusiasm. A huge thank you must also go to the staff who ran the retreat: Mrs. Sandra Harris, Mrs. Veronica Harrold-Carter, Mr. Greg McAteer, Mr. Tim Hodges, Mr. Paul Cullen, Mr. Simon Blue, Ms. Hailee Gray and Mrs. Teagan Lomax. Last but not least, thank you to our Youth Minister Jarryd Atkinson, his presence and experience was invaluable. 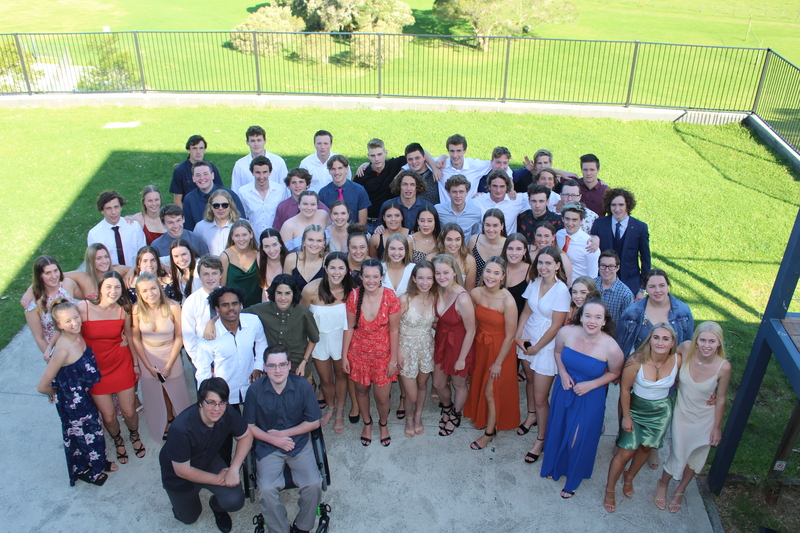 On the 8th of November 2018, the current Yr. 11’s hopped on a bus up to Nowra for their Senior Retreat. The aim of this retreat was to create new and strengthen old bonds between the students of the year group through large group activities, small group activities, and the exploration of our individual spiritualities. Waterslea Lodge was the perfect environment for this 3-day retreat, the quite serene nature of the environment and the activities it offered were instrumental in accomplishing our aim. The food alone was astounding! The whole event was scheduled mostly into small group sessions, in which groups of 6 or 7 were assigned a teacher with whom they completed activities, and large group sessions, in which the entire cohort assembled together in the main hall. Some of the most prominent activities in our memory include: teacher presentations, the affirmation bags (In which everyone wrote each other positive affirmations in their small groups (Publicly or anonymously), and the semi-formal Night Dinner (When the year group dressed up in semi-formal attire and, after many, many photos, were served dinner by the staff themselves!). We were also treated to a special Mass officiated by Father Dominic. “Some of the teacher’s speeches were really good” -Georgia C.
“Getting close with the teachers” -Emily S.
“The affirmations, because they made you feel good about yourself” -Lily C.
“Mr Blue’s presentation” -Allie R.
“Watching Kelly clock 70kmph on the waterslide.” -Jake L.
Please keep Catriona Colalillo (staff) in your prayers following the passing of her husband Mario. It's easy to love the good teen. The parents of them, thank God their life is going as planned. That they have good children to love. Sure, a parent loves their good teen unconditionally. But they haven't really had to put that to the test. They haven't had to test the limits of their understanding and forgiveness. Their souls and faith are intact because they haven't been shattered. Do they realise that the most important things in life are the little things? The path of the good teen may not be exactly what a parent would have chosen, but they know that everything will turn out all right. Now only the lone pine remains, blowing in the wind. 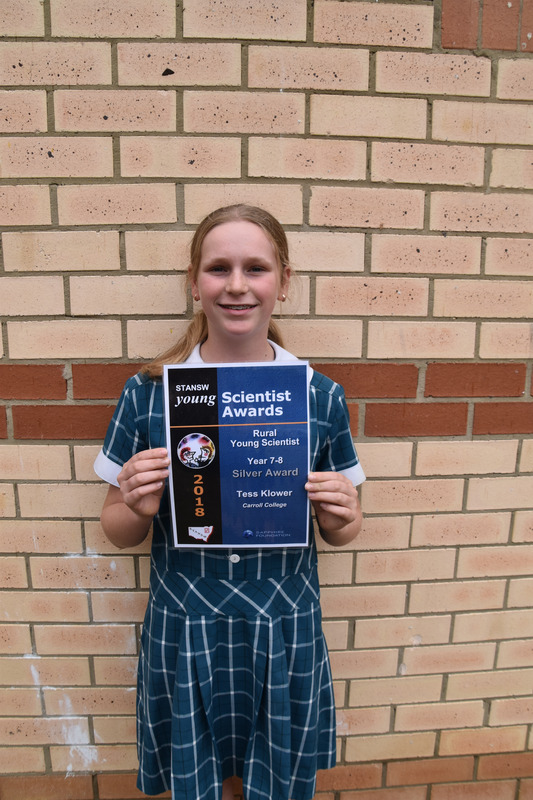 Congratulations to Tess Klower on receiving the Silver Award for the Rural Young Scientist Awards as well as receiving a Distinction from the main round of the Young Scientist Awards. Tess created an excellent report on replacing polyethylene plastics with biodegradable plastics made from oranges, bananas and potato. Through her extensive research, practicals as well as modifications Tess was able to show that plastics made from products at home are going to be the future to try and stop the huge plastic bag issue being experienced all around the world. On behalf of the Carroll College Community we congratulate you on your success on receiving these prestigious awards from the scientific community. On Friday 16th November, 50 students and five staff traveled to Cootamundra for the annual touch football gala day. This is one of the biggest days on the college sporting calendar with over 100 students trialing in Term 3 for a place on the bus. Our selected players arrived excited, if not a little sleepy, to depart Carroll College at 4am! Five teams were entered in the tournament after weeks of training and trials. 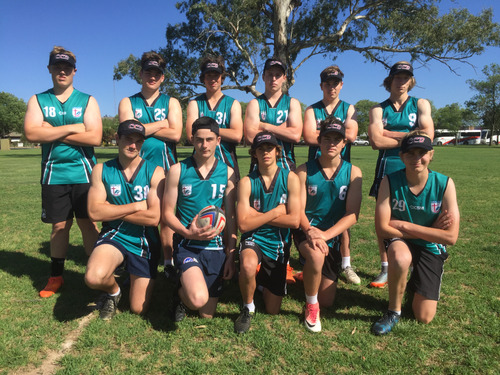 Each team had successful days and thoroughly enjoyed the opportunity to play against the best touch football teams in the Archdiocese. The Year 11 Mixed team, coached by Miss Gray, came 3rd overall in there division. After two early losses, they bounced back to win their final three games, narrowly missing a birth in the grands final. The Year 9/10 Boys team, coach by Mr Brady, played a total of six games. 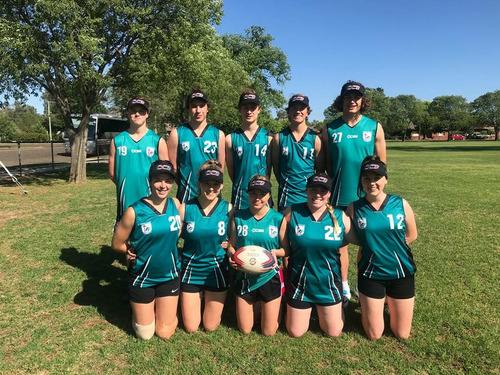 They had two convincing wins and four losses placing 5th overall in their division. 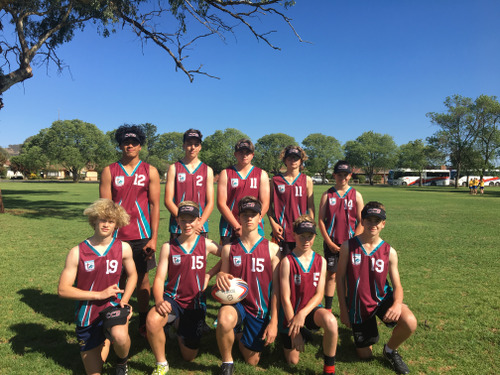 The Year 7/8 boys, coached by Mr Mulally, had five games. After two early losses, they knuckled down to win the final 3 matches, placing 3rd in their pool. The Year 9/10 Girls, coached by Mrs Bonner, had five pool matches. They started strong with a close win and continued on to remain undefeated in the pool rounds. In the semi final, they had a convincing three try win to book a place in the grand final against Trinity College. There was no score after full time, sending the game to extra time and drop off. Carroll College had the perfect start, scoring in the first set to be crowned tournament champions. The Year 7/8 Girls, coached by Mrs Davis, had a busy day with 6 pool matches. 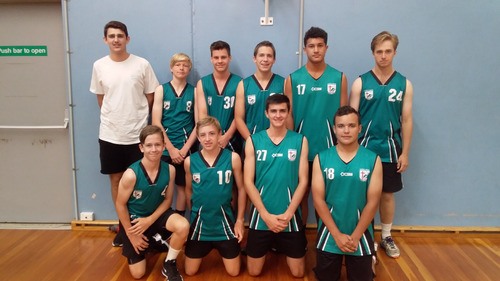 They went down in their first two matches, but refocused themselves to win the next four and earn a semi final birth. The semi final was arguably the match of the day. It went to extra time and drop off, all the way down to three player per team, before Carroll College secured the victory. The girls played valiantly in the grand final to lose narrowly to Hennessy College. Well done to all students involved. 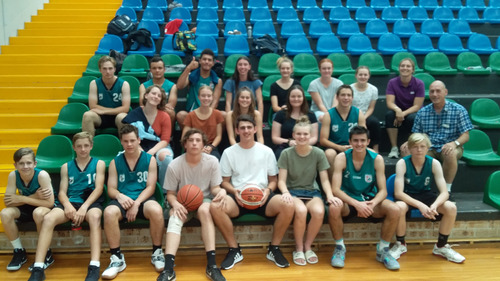 Congratulations to our Year 9/10 Girls & Boys basketball teams, both of whom had won their respective competitions at Archdiocese earlier in the year & earned a place in the CCC finals last week. As always the competition was of a very high standard with some teams including State & National players scattered in their ranks. Our boys played hard winning 1 from 3 in the pool games & progressing to the plate competition. Basketball can be a highly charged and exciting game when it’s close - checkout the scoreboard after Declan Cursio shot a pressure free throw with 2 seconds on the clock to tie the game! 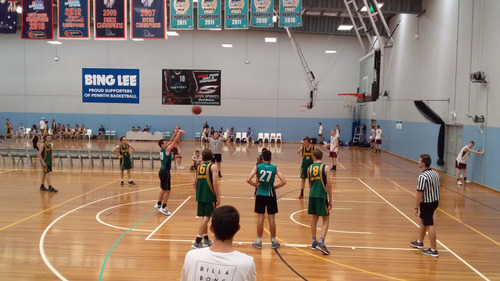 We expected overtime….but no, an Albury player then scored a 3 pointer as the buzzer sounded for full time. 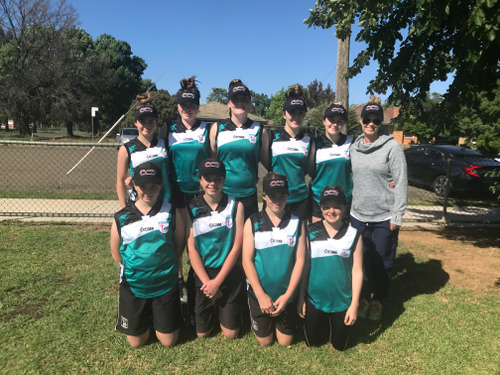 Albury progressed to the final of the plate. A surprise package was our girl’s team. 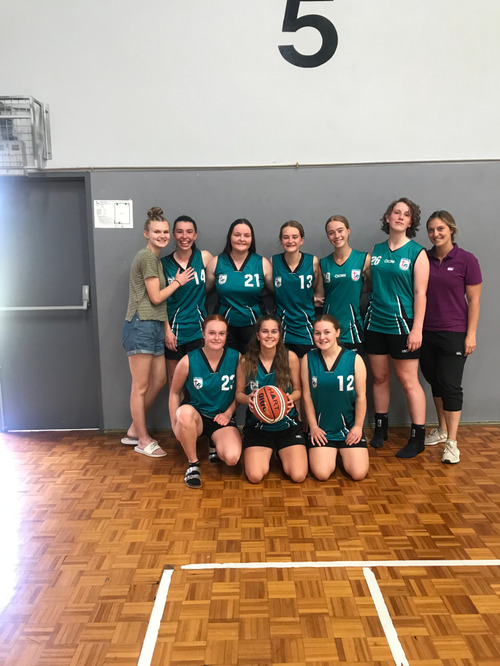 They won all 3 games in their pool and progressed to the quarter finals – that’s the top 8 teams in NSW Catholic Schools. This was achieved through skill, determination and a whole lot of heart. Well done Year 9/10 girls! We all enjoyed a lot of laughs on the road, at the University & of course at our usual haunts of Penrith Panthers & Krispy Crème’s. Thanks to Hailee Gray for all her support on the trip & in the lead up training the teams, to Jeremy Harding & Maddi Blewitt for coaching and to our travelling table official Darcy Rankin. 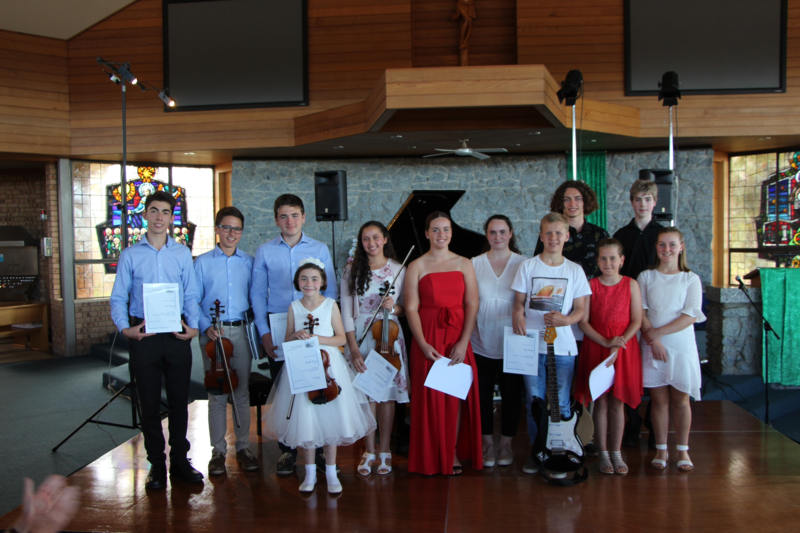 The Finalist Concert for the 2018 St Cecilia Youth Music Scholarship was held on Sunday 18th November at St Bernard's Church, Batehaven. The four sections offered by the scholarship are Junior Classical, Junior Contemporary, Senior Classical and Senior Contemporary. 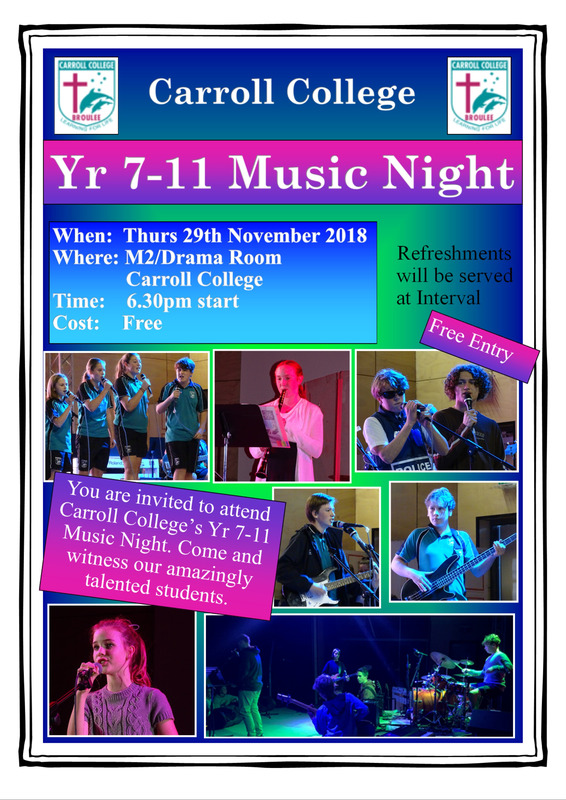 The winners are determined by the audition process that took place at the start of November where students played two pieces and competed against other entrants. Both the Junior and Senior Classical sections were won by extremely talented students from out of the area, while five of the six Junior and Senior Contemporary finalists were awarded to students from Carroll College. This results are listed below. I am very proud of these students and would like to congratulate them on their achievement. Thank you to those families who have paid their school fees by the due date. Term 4 School Fees were due at the end of Week 1 - Friday 19th October 2018. It is now Week 6. Please make arrangements to pay any outstanding school fees immediately. For any families on 2018 Reduction of Fee Arrangements or approved Payment Arrangements – please ensure that you are meeting the conditions of the fee reduction or payment arrangement. Where fees remain outstanding, the College will pursue those outstanding school fees. As part of this process, continuing outstanding fees, unsatisfactory responses, non-payment, lack of regular payment or long-term outstanding fees will result in the pursuit of those outstanding fees through a debt collection agency. Referral to a debt collection agency can affect your credit rating. Access to Reduction of Fees and Approved Payment Arrangements are put in place to manage the payment of school fees and outstanding school fees, while families have students enrolled at the College.The College uses school fees to meet operating costs such as equipment, resources and improvements and building works which provide our students with many opportunities. Where there are outstanding fees, these will be followed up according to Catholic Education and Carroll College Fee Policies. As part of Applications for Reduction of Fees and Approved Payment Arrangements, the College is also implementing the Carroll College Volunteer Program. This program aims to provide opportunities for parents, carers or guardians to support and assist the college. As part of this program, parents/carers are required to obtain a current Volunteer Working with Children Check before participating in any volunteering activities at the College. Prior to commencing any volunteer work, volunteers will also need to complete a Volunteer Induction Program. From 2019, the College will require 10 school weeks’ notice (excluding holidays) in writing of any intention to withdraw a student from the college (unless they are in Year 12). This also applies to students who take up employment or apprenticeships. For example, if a family gives notice in writing during Week 3 of Term 2, fees will be applicable for the remainder of Term 2, that is, 7 school weeks (Weeks 4 to 10) and for 3 weeks of Term 3 (Weeks 1 to 3) totalling 10 school weeks. This means that families will be required to pay 10 week’s school fees following student withdrawal notice in writing. Families of students in Year 12 are liable for full fees applicable for the entire year. Where a family advises during a holiday period that a student is withdrawing from the College, 10 school week’s notice (excluding holidays) is required. Where a Family makes the decision to withdraw a child/children from the College – any existing payment arrangement is void from the date that the withdrawal takes effect and full fees are payable immediately. Families must make official arrangements to pay outstanding fees in full by the date of withdrawal from the College. If families are not in a position to pay outstanding fees in full, supporting information must be provided to the Business Manager. An appropriate payment arrangement will be determined that will facilitate payment in full within 12 months after the date of withdrawal. Any payment arrangements requiring a longer period to pay off outstanding fees will be subject to additional supporting documentation requirements. This is required to determine an appropriate payment arrangement to pay off the outstanding fees over a reasonable period of time. Families will need to arrange a meeting with the Business Manager to discuss the payment of any outstanding fees prior to withdrawal. All arrangements will be treated on a case by case basis. When paying for Excursions the heading will show the date of the event first and then the Year group involved. Please choose the correct excursion for your child’s Year Group and also the correct child attending that event. Any consent form for a certain excursion for the incorrect student via Qkr! will be null and void and a hard copy consent will be required for the student to still attend. This can found on the Sentral Parents Portal or our website under Forms. Qkr! Is our preferred payment option. If you need help using this please contact the Office.